This amazing soul was an apt example of how the beloved Guardian described Musa Banani as one equal one thousand. Ya Baha’ul’ Abha! Yeok Boon. May you guide the friends to arise and audaciously share the message of Baha’u’llah as you did. I first Yeok Boon at the Kuala Lumpur Technical College in Jalan Padang Tembak, Kuala Lumpur, known as Gurney Road. I was at that time stationed in Sungei Besi. We had a fireside and present were late Ravichandran, Arumugam and a few others. It was either in the room of Yeok Boon or Ravichandran. Later l met him many times at the Bahai center in Setapak. In RMAF he was a live wire, continuously teaching everyone he met. He was a real embodiment of a great Bahai. He was always helping everyone who approached him. I also got to. learn that he had loaned money to many. He would also lend his car to anyone of his friends. I was influenced by his story then and how much sacrifice he made. His story has greatly effected my life. The next day Hand of the Cause sent me an a travel teaching trip to Sarawak and Choo York Boon story helped me in my wonderful trip. A an excellent write-up on Yoke Boon. 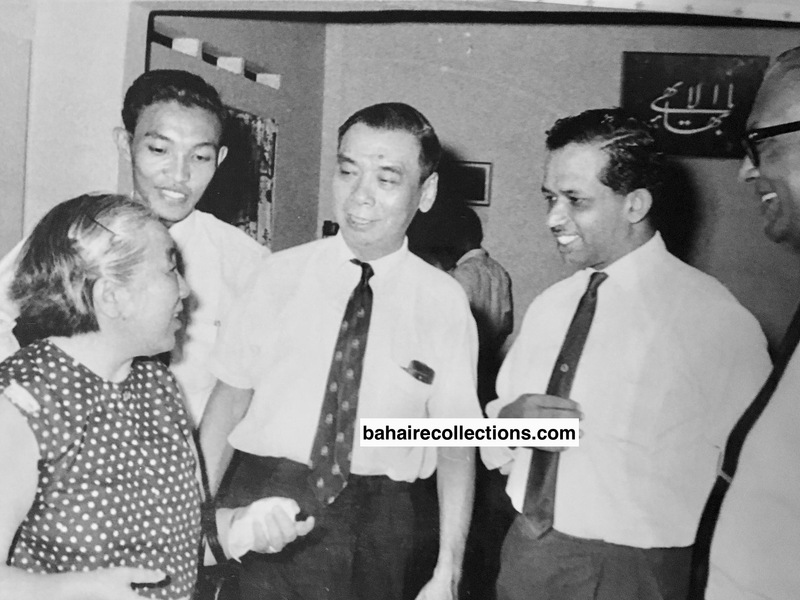 As a youth on several occasions I had joined him on teaching trips to neighboring estates of Caledonia and Byram estates of South Seberang Perai. He was a great inspiration to Baha’is and a down to earth person. He is a no-nonsense and serious type personality. It was a great shock for the Baha’i hearing the tragic death. I did attended the funeral in the middle of an Army Camp with the full honours. It is a great pride for the Malaysian Baha’i community. As I youth then, I had great respects for him. Thank you bro. The late Captain Choo Yeok Boon has been and still is my personal Baha’i hero. It was my privilege to have known him quite closely during my early days as a Baha’i youth and in my early adult life. As I was reading his life story I could not hold back my tears. Just two days before his tragic death he had visited me and my family and had lunch together with us at our home on the top floor of the Alor Setar Baha’i Centre. I can never forget that last lunch he had with us. He radiated with love, exuberance and joy. Two days later we were shattered hearing the shocking news. I am one of the many whose lives were touched by Boon’s dynamism, courage and steadfastness and also by the loving hospitality of his home together with Grace. Though born at different era,these poignant words of the writer created a feeling of being there,in his exploits. The best way to remember him would be to serve humanity,his passion. Boon was my classmate and he used to stay in the Buddhist temple where I became a monk at the age of 13 for three days, shaved head and wore saffron robe. Boon and I became very close friends and we attended the Buddhist catechism classes weekly. Two American Buddhist monks used to come up to Alor Setar to teach us. One was Rev Susidhi and I cannot remember the name of the other man. Boon’s uncle was a well known Bomoh (medicine man) and so despite the heavy obligations coming from that background he eventually declared. 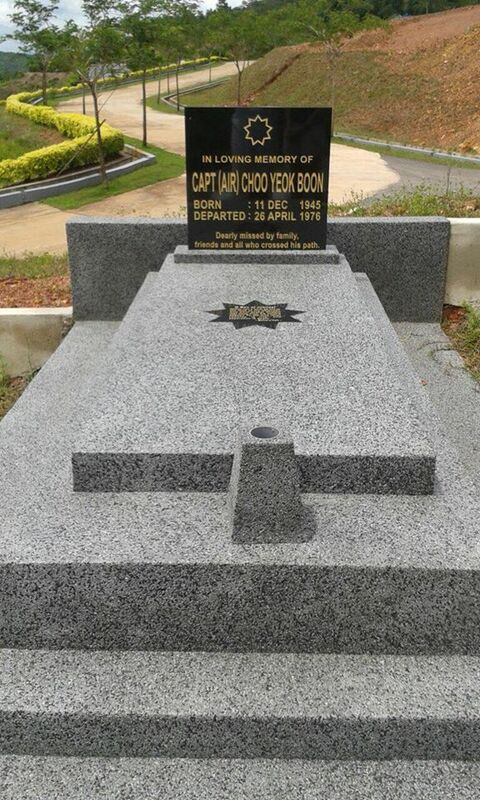 I just completed reading your recollections on the late Captain Choo Yeok Boon. Needless to say, it brought tears to my eyes. Thank you Manisegaran for writing about Choo Yeok Boon. I had heard a little bit about Yeok Boon, but now I seem to have learnt more about this devoted servant of Baha’u’llah who was totally enamored by the love of Baha’u’llah, and put the service to Faith above all else. Grace Chong had a real hard life but she managed to bring up the children well. Must say she is a very strong and brave person. May God bless the family. It is really an excellent story on the late Captain Choo Yeok Boon, the first Sino-Siamese to accept the Faith in Malaysia. 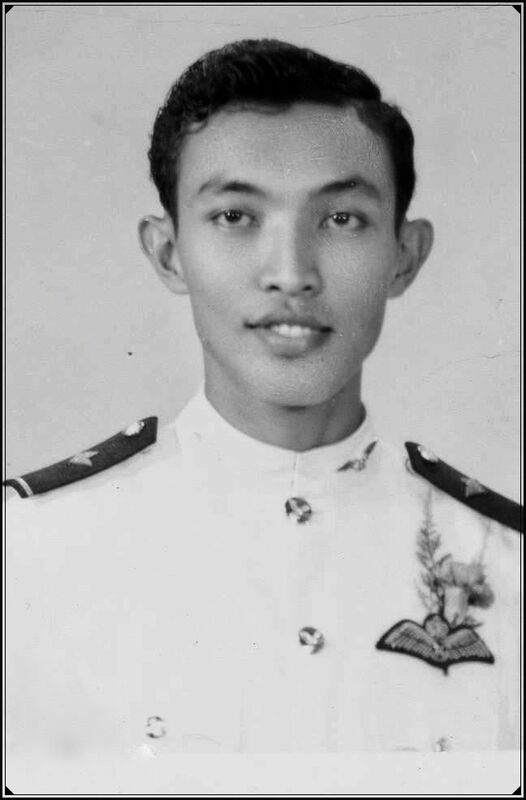 Interesting to learn that he was the first Bahá’í to have sacrificed his life for the nation during the course of his duty as a Captain in the Royal Malaysian Air Force. I really enjoyed reading this very great write-up. 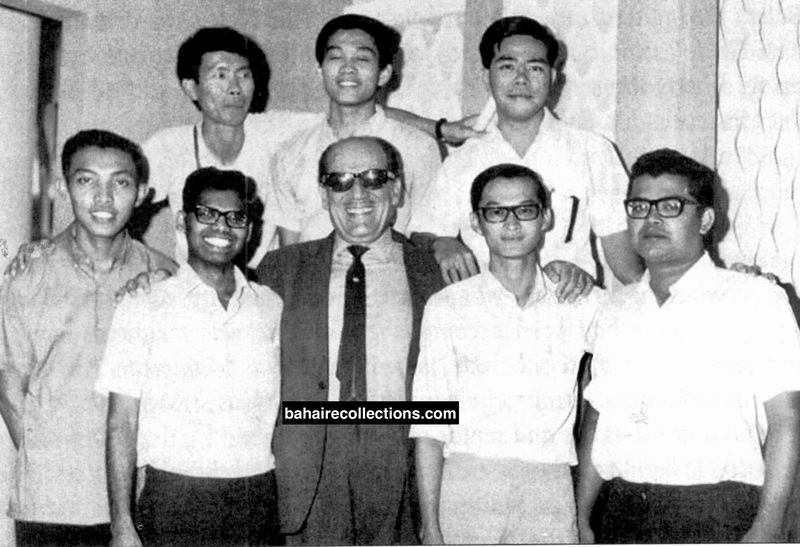 Captain Yeok Boon was indeed a personal Baha’i hero to many Malaysian Baha’i friends. Also many Baha’i friends seemed to have been touched by Yeok Boon’s dynamism, courage, steadfastness, and loving hospitality. What touched me were the words of Captain Yeok Boon as he rightly said, “You rise to the need and take care of the Cause of God and God will take care of your Cause for which I am a living example”. Brother Manisegaran, all your write-ups on Baha’i heroes are most excellent and serve as true inspiration to many Baha’is like me. From my observation,your Baha’i Blog is among the best that brings out the best stories, supported with those excellent photographs. I wonder how you managed to collect these highly historical photographs. May Baha’u’llah shower His choicest blessings upon you for your excellent research work, a talent that very few posses. I just completed reading the story on Choo Yeok Boon. In all honesty I became very emotional as I have known him while he was at the Kuala Lumpur Technical College and visiting the National Bahai Center. I was one of those who attended his wedding held in the home of Mrs Elizabeth Gibson. In 1972 I moved with him in Kuching. When we arrived as travel teachers in Kuching, he fetched us from the airport and we stayed at his home in the Army Base. And thanks for including me in this story, though I am far removed from his high station and standard that Yeok Boon has set for people like me. This article should move not only those who had known and associated with him, but any believer . You have ably narrated the challenges of the early days and how many friends faced such challenges with utmost devotion and reliance on Baha’u’llah. Yeok Boon’ s example is a case of the spirit taking over the physical body with complete detachment. Thank you for including the eulogy by Dr. John Fozdar, himself a Knight of Bahaullah, offered at the National Bahai Convention of 1976. He has done true justice in aptly describing the personage of Yeok Boon. And of course the great photographs. I have been taking note of the rare photographs that you have been publishing in your blog. Each photo speaks volumes and adds lustre to the stories. I believe you must be having unlimited supply of these photographs. Your story is one that made my day and at the same time robbed my energy for some time- case of sorrow and joy embracing each other. Your write up on beloved Choo Yoke Boon is indeed great. Though I was acquainted with him, I never knew him too well, as I do, after reading your story. Perhaps I was not that involved in the activities he was involved, and also I only met him during conferences. I do not recall much details. I do remember him for his humility. He must have been assertive, but he never gave the picture of an assertive person. People who are independent and courageous, like Yoke Boon feel free to move…. I pray to Baha’u’llah that I free myself to serve Him the way Yeok Boon and other elders had done. It’s absolutely inspiring. How the author has mentioned details is truly amazing. The life and spirit of dear Choo Yeok Boon is so great and he could perhaps be viewed as one of those martyrs of Malaysia. After reading your story I am more than convinced that the late Choo Yeok Boon was a great teacher. He had truly faced lots of challenges and yet he was actively involved in promoting the Cause in the Kuala Lumpur Technical College. He must have been a very bold and courageous person. He seem to possessed the qualities needed by every teacher of the Faith. He and his life had a message for a person like me- to promote the Faith to the utmost of of one’s ability. I wish and pray that I may all be able to follow his exemplary path. That was a story of a very beautiful, amazing Baha’i whom I had never known before. Today I am so happy to learn about this giant in the service of the Cause with praiseworthy character and conduct. He had a unique role in advancing the Cause. He is certainly a gift to the world community. Thank you Mr. Mani for the story on Choo Yeok Boon. He was one of my spiritual fathers. I can never forget the first time I met him when I was just 13. 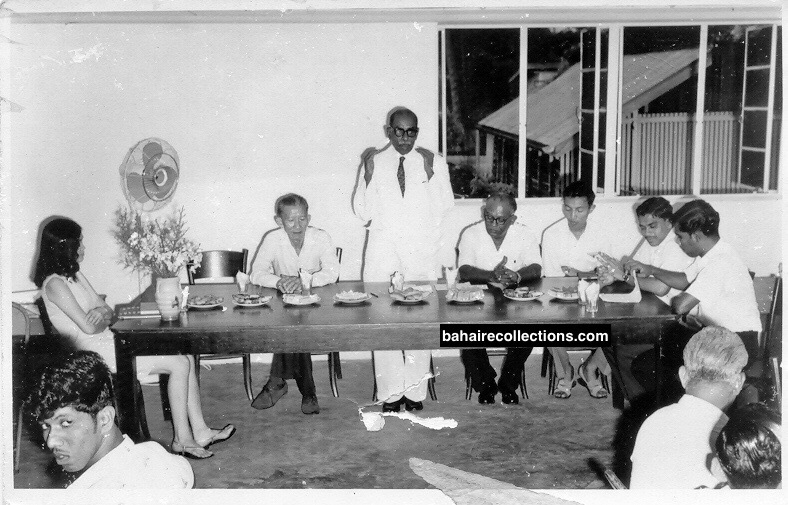 He, together with his wife, Grace visited our home in Kuantan town in Pahand. He was with the Royal Malaysia Air Force in Kuantan then. His radiant smile, joy and love touched my heart, and I was deeply interested in knowing what was this new Faith he was sharing with all. He was indeed an example of a true faithful servant of Baha’u’llah. I could still feel until today that love when I think of dear uncle Choo. Thank you Mani for this lovely article on Choo Yeok Boon. I was only a child but remember him very clearly and of course my parents loved him dearly and we had him visit our home often. One day, I remember that he came to our house in Jalan Air Bersih, Setapak in his full white uniform and looking very smart indeed. He asked me, where is your father. I told him he was not in and so Choo Yeok Boon came in and sat for a while and when my father still did not show up, he decided to leave and said goodbye to me. I still remember admiring his beautiful uniform and also his shiny black shoes as he was lacing it up to leave. A few days, the news came that he was killed in the line of duty and I recall my father being so devastated and he left the house immediately, presumably to meet with relevant institutions about his passing. That night, my mother came home and as my father was still not home yet, I told her that Choo Yeok Boon had been killed. I remember her shock at hearing the news. Till today, I believe he came to our house to bid my parents a warm farewell. Thank you so much for keeping alive the memory of one of the champion builders of the Faith in Malaysia. The late Yeok Boon had come over to a small remote town in Pahang called Jerantut for some work sometime in the early 1970’s on his Nuri helicopter. I met him personally wearing his pilot uniform at the rest house. We talked about the Bahá’í community and the various activities that were going on in Jerantut. He was very motivating. This moment is always there in my memory. I met him again at my Bahá’í wedding in Kuantan in 1973. He had traveled over from Kuala Lumpur with a group of friends. He was very supportive and helpful during my wedding. This incident too l can never forget. I was so sad when l heard of the tragic incident where his helicopter was shot down and everyone including Yeok Boon perished. I became very emotional when l was reading your story to my wife. Such a valiant soul. I pray for his happiness in the Abha Kingdom. Uncle Choo Yeok Boon brought so much laughter and joy to my dad. Every time he came to our home, the whole household came alive. Even before he arrived, the maids were giggly, my mother in a good mood and father, well, elated. Seeing my father so lighthearted and delighted in his company made me love Choo Yeok Boon even more (yes, you called him in his full name). Usually it was my father who entertained the folks who visited but when it comes to Choo Yeok Boon, he was the master entertainer, and my father like the rest of us, leaned back and enjoyed the show. That was a very inspiring story of this wonderful young Baha’i. Choo Yeok Boon is sadly missed. I just finished reading your write up on Choo Yeok Boon, illustrated with great photographs. Your write up brought tears to my eyes when I recalled the friendship we had cultivated with this fantastic Bahai. I know many of the readers will be moved reading this story, as they know who Choo Yeok Boon was. At least they have heard of him and what a great Bahai he was. I remember Yeok Boon as a youth, long before he got married. When he and Grace Chong decided to get married, they decided to go for a simple marriage ceremony. Elizabeth Gibson who was a member of the National Spiritual Assembly of Malaysia offered her home to Yeok Boon to get married in. My husband Inbum organized the refreshments for the wedding. I was the matron of honour at the wedding and my husband, Inbum was the MC. After he got married, he was a frequent visitor to our home. We all loved to have him visit as he was full of fun and jokes. He used to make us laugh, especially our two helpers, Ah Lan an Letchimi who in their simple minds loved to listen to Yeok Boon. They sure looked forward to his visits. Even I too loved to listen to his jokes. I still remember the day Yeok Boon’s helicopter was shot down and he lost his life with 10 other officers. That tragic news was brought to our home. We all cried, all those who had gathered to hear the news. Yin Hong Shuen, as soon as he heard the news rushed to our house and sobbed like a baby. He had lost a very good friend. Inbum tried to console him as much as he could, but Hong Shuen didn’t seem able to control his grief. The unexpected death of Choo Yeok Boon broke our hearts and left a big gab in our lives. He was one of the greatest Bahais who ever walked on this earth. Good bye Yeok Boon. We will always miss you. You are now in the bosom of THE BLESSED BEAUTY. Read your story on our dear friend Choo Yeok Boon, with tears welling in my eyes. 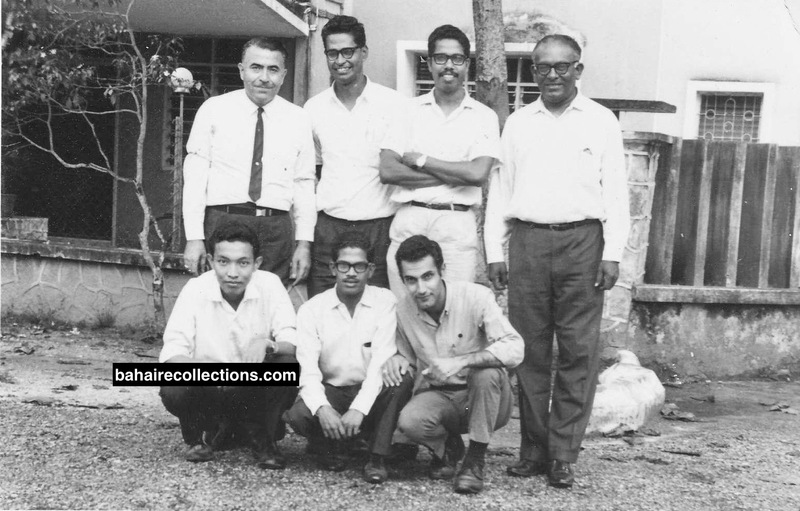 When Boon passed away in 1976, the late S. Ravichandran and I were away in Scotland pursuing our further studies. News of his passing was a shock to us. Both Ravi and I were with him in the Technical College of Kuala Lumpur. We were sad we could not be there to bid our last farewell to one whom we loved so much. 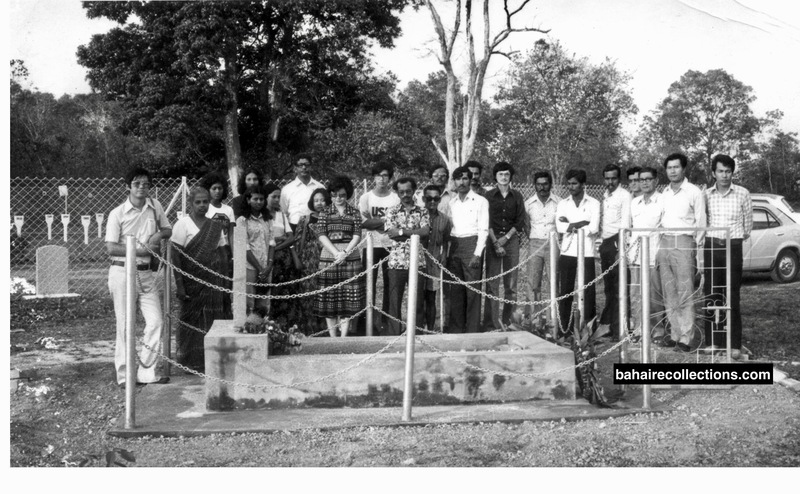 When I was back after my study I visited his grave in the Sungei Petani army camp a few times along with the friends from Alor Star, and once with our Uncle Yankee Leong who expressed his strong desire to visit as well. It was very difficult to visit his grave at the Army Camp as it was a security area, and one had to permission in advance. So when Grace and the children decided to relocate his burial site to the Nirvana Memorial Park in Sungei Petani, I was so happy to be present with the family, my brothers Teh Teik meng and Teh Teik Cheow along with Chong Boo Haw and other close friends of Boon. For Boon’s reburial, it was a respectful and dignified event that was again accorded full military honour. With military escorts and the presence of two generals and contingent of military personnel lining up in the usual ceremony. What an honour and respect Boon was accorded even after 40 years ! His remains now rest in the beautiful Nirvana Memorial Park in Sungei Patani where one could freely visit any time. He shall always be missed not only dearly but also really, to say in the simplest words! What a lovely story on our dearest Choo Yeok Boon. You have given so much details with good photographs and a video clipping that mentioned the tragedy. Emotions ran high as I read the story. I have finally pulled my strength to write my comments. On the night of April 26 Counselor Vicente Samaniego from the Philippines was addressing a group of believers in the Alor Setar Bahai Center. As Vicente Samaniego was giving his talk, two captains from the Air Force walked in and gave them the shocking news that Boon was killed in a helicopter crash. The shocked believers stopped everything and started organizing prayer circle immediately. As the prayers were said, all eyes were welling with tears. Frantic phone calls were made all over the country. Everyone was shocked, but still they hoped Yeok Boon was still alive. By midnight it was confirmed that Yeok Boon was killed. I was not at that gathering. But I got the news from Kanthakumar Ramasamy. I could not bring myself into accepting this unwanted news. On 27 April more than 20 believers gathered in the house of Mr. Nagaratnam in Sungei Petani to discuss the funeral arrangements, and to receive Grace and her children from Kuching. She arrived at the Sixth Infantry Brigade in Sungei Petani at 4.30 pm and was comforted by her mother, sisters and her close believers. That night prayer a vigil was held by the local believers in Sungei Petani. The next day, Thursday 29 April, the Local Spiritual Assembly of Alor Star held a memorial service in the Centre. The Local Spiritual Assembly of Alor Setar published its official newsletter called Gondwana. I was on the Editorial Board. A special issue was released on 1 May 1976, running some stories on Yeok Boon. 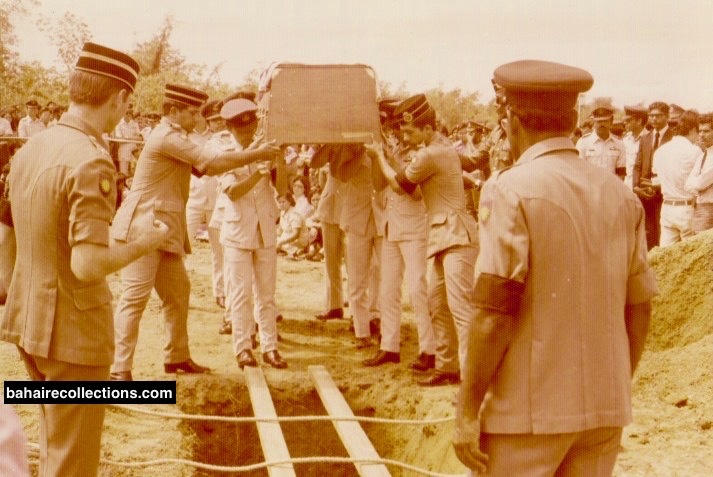 When I contributed my piece I quoted Mark Anthony having said, “My heart lies in the coffin there with Ceaser.” That was how those close to Yeok Boon felt as the coffin bearing his remains was lowered into the grave in the Army camp. The untimely passing of Yeok Boon was totally a rare and different kind. He died so young, and within a span of just 12 years as a Bahai, he had conquered the hearts of so many. People simply flocked to him for the love that he radiated. He brought so much sunshine into the lives of those who moved with him. I would relate Yeok Boon to the Halley’s Comet which is a short-period comet visible from earth every 75–76 years, and might appear twice in a human lifetime. To me, Yeok Boon was the Halley’s Comet that appeared only once in my lifetime. Boon was a nice man and a good friend. He leaves behind a great tradition and a much-loved family. Choo Yeok Boon is no less than a legend among those few souls that have illuminated the pages of the history of the Baha’i Faith in Malaysia. Yeok Boon’s exemplary life, sacrifices, devotion and commitment to service presents learning examples for the present and the future generations of believers. I have been fortunate to know Yeok Boon since 1965 when I occasionally joined him together with others in the field of service that mainly included youth activities and consolidation meetings. This fascinating relationship continued until his sudden and saddening physical departure. I have no doubt that he is ever with us and is supporting our teaching activities in Malaysia. As teaching the Faith was his passion I felt inspired whenever I thought of him and sought his assistance from Abha Kingdom. Somehow I felt assured of his loving support as I kept moving forward in my recent teaching activities in the northern region of Malaysia. My dear friend Mani ! I sure remember Choo Yeok Boon! What an exemplary Baha’i! I was blessed to meet him. Much has been written and spoken about Boon from the time he passed away. But your story sums it up very well, with so many comments -both from those who knew him and had not known him. Even after passing Boon is still remembered and continues to attract all our attention. I knew Boon from 1963. He was like a son to me. My father Yankee Leong loved him so much. Even after moving into Ipoh town, Boon would visit me. After becoming Captain in the Air Force he continued visiting me. At times the mere loud sound of helicopter above our house would inform us that Boon has arrived. Whenever he came to Ipoh by helicopter, he would make it a point to circle above my house, flying quite low. If my children were home, they would run out and wave to him. That was how we knew that Boon had arrived in Ipoh. Then very soon after that Boon would arrive at our doorstep and give me a big, a real warm hug. This will usually be followed by a few jokes and laughter would ring in our house. It was such a joy to see a joyful person calling upon me. Boon was a person who was so unique, spiritually charged and very precious to the Faith.Once we get to know Boon, we can never forget his warmth and radiance. I remember Boon’s sister Ah Lean telling me that when they were young, Boon took a long time to learn to speak but once he could speak he could never be stopped. When he accepted the Faith Boon was always teaching about the Faith, and he could not be stopped from teaching the Cause. I am very sure that Boon must still be very busy teaching in the Abha Kingdom, together with his friends from the Technical College like Ravichandran and Francis Singam. Bahaullah has spoken it all! This is one more recollection of how Boon got married to Grace Chong. 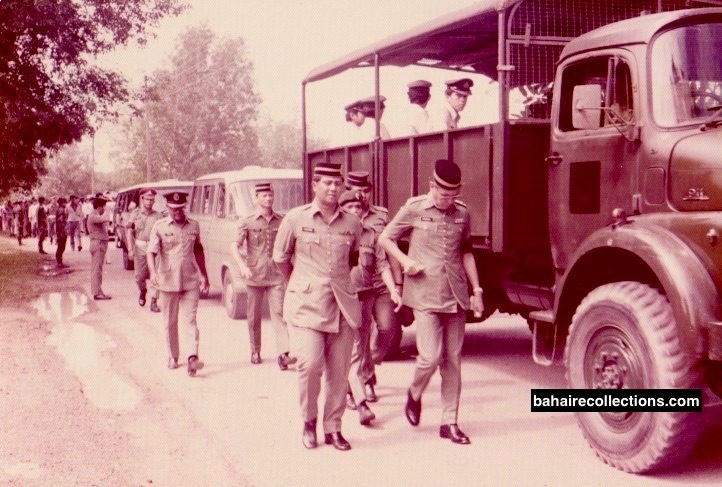 After being commissioned as a Flight Officer Boon was posted to Kuala Lumpur in 1970. On weekends or holidays he would visit his friends in Alor Setar, and I was one of those he visited without fail. On one of such visits to my house. He looked serious and sad as well. He had just visited his mom in Pokok Sena. My wife Chong Soo Yang asked him why he was so engrossed in some mysterious thoughts which I too could never fathom. He told my wife that his mother wants him to find a wife. Having known him from the teen days, I can vouch that he never had any special girlfriend, and after accepting the Faith he never had time to find one. My wife, half jokingly told him, “I have a younger sister in Kuala Lumpur. Here is the address and her house phone number. Why not visit her and give a try.” Boon responded “I will pay her a visit.” Boon has always been serious in what he does. Sure enough after a few months of courtship wedding bells rang. He got married to the first girl he courted. I must thank you for the recollection on Captain Choo Yeok Boon. You have done a great job especially digging up those precious photos. I lost count of the number of times my eyes got wet as I was reading the story. I was one of the first to describe him as an angel. We daren’t call him that knowing a humble man would be annoyed. But I dare call him a “24-hour Baha’i” because that’s what he was. 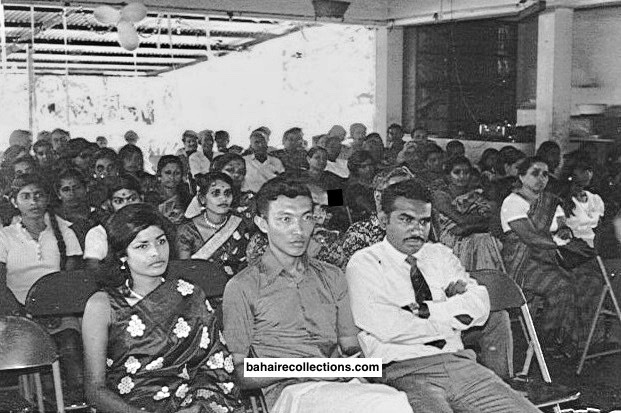 When he was in the Technical college, he mentioned Baha’i every precious moment. When his friends complained, he would explained that he didn’t want his friends to complain in the next world that he didn’t tell them about Baha’u’llah ! I remember when Jenabi Caldwell visited Alor Setar, our Assembly organized a class on Kedah Peak, a classy resort. A group of us went up a day earlier to enjoy the fresh air and pretty scenery. At the last minute, Mr. Nagaratnam conveyed the news that we would have the class in the Baha’i Centre. We were shocked because it wasn’t easy to book the resort, and being youth, we sort of rebelled and stayed put up the hill. Mr. Nagaratnam then requested Yeok Boon to go up the hill to persuade us to come down. Of course, we were full of respect for him, and felt torn between two major decisions. When Yeok Boon showed up we knew why he came and expected a lashing. But he was so kind and gentle and didn’t say a word ! He just kind of assessed the situation and smiled and after a while, gave up on us young ones and returned to the Centre in Alor Setar ! Counselor Vic Samaniego was in Alor Star and I was asked to drive him to Sungei Petani Army Camp to attend the funeral service. At the funeral, I witnessed Mr. Nagaratnam and many others (me included) just couldn’t control our emotions and just wept openly. I have come to know the name Capt. Choo Yeok Boon and his great service to the Faith and the country only around the late 80s during the time I came to study in Sungai Petani. My eldest brother Segar Gopal, who was then serving as a field force officer at the Sixth Infantry Brigade Army Base, took me to visit the burial site of Capt. Choo Yeok Boon at the camp. It was interesting to know that Capt. Choo Yeok Boon was the first from the Sino-Siamese background to have accepted the Faith in Malaysia. His complete obedience to his mother and unfathomable love for the Blessed Beauty was indeed inspiring and edifying. 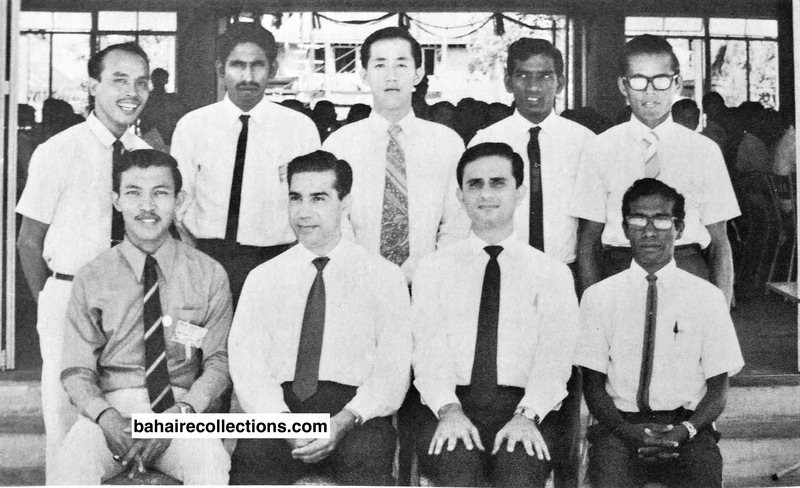 Well, during my time in Sungai Petani, Kedah, I had the bounty to serve in the “Choo Yeok Boon Institute Committee” along with our beloved uncle S. Nagaratnam. Uncle Naga was its Chairman and I served as its Secretary. That was when I came to know a little more about Capt. Yeok Boon. Well, of course, your moving write-up on his comprehensive life account has given the rest of it. Capt. Yeok Boon remarks, “You rise to the need and take care of the Cause of God, and God will take care of your cause, for which I am a living example” is absolutely unique and for younger generation like myself to emulate. I trust that he has lived and distinguished his earthly life to the expectation of the Master’s statement, “I desire distinction for you”. As you have rightly said Capt. Yeok Boon had aptly displayed qualities of self-effacement and humility to an extraordinary degree. He had definitely lived and breathed nothing but the Cause of Bahá’u’lláh! It is without any doubt that Capt. Yeok Boon is a rare kind of believer gifted by Bahá’u’lláh to the community of the Greatest Name in Malaysia. May his ‘magical spirit’ prevails and richly nourished in the Abhá Kingdom. Thank you for the beautiful write up on the late Choo Yeok Boon. I thoroughly enjoyed reading the story. It brought all the fondest old memories of my days in the National Bahai Center in Kuala Lumpur. 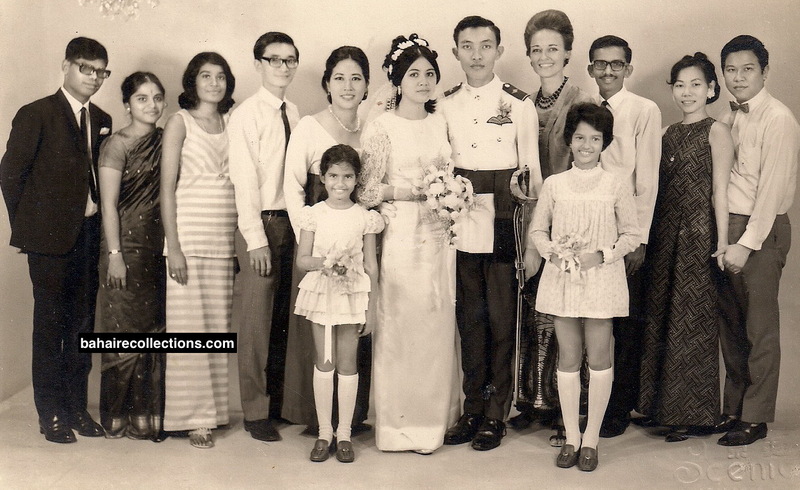 As you know I moved into Kuala Lumpur from Malacca at the end of 1965 and stayed in the Bahai Center. Yeok Boon joined the Tehcnical College in 1966. He was there at the center every other day and at weekends. When he set up the Technical College Baha’i Society he used to bring the newly declared Bahai friends to the Center, and we used to have so much fun discussing various subjects related to the Faith. He organised so may events in the College and used to invite me. I am happy to learn that Francis Singam- the difficult enquirer had accepted the Faith. I remember the exchanges Francis had with Chellie Sundram at a function in the College. All these are appearing right in front of my eyes as I read the story. As for Yeok Boon, I saw a great potential in him event in those days. His words were as mild as milk, but deep inside he was firm as a rock. Of course I left for India in May 1967 and had no direct connection with him. Your story says it all and fills the gaps. I am happy you are writing stories of these true servants of the Faith, who are no more with us, with so much vivid recollections. I am pretty sure they must be rejoicing in the Abha Kingdom since they are all remembered through your stories. Many of us must also be praying for them. Keep up contributing more of such stories, which you are doing only too well- with beautiful photographs that I had never seen before. This is a God-given talent and I am happy you are utilizing it very well. I was pleased to read your story on my dear friend the late Captain Choo Yeok Boon, through whom I accepted the Faith. The first time I met him was when I enrolled in the Kuala Lumpur Technical College. That was in 1966. I did not have any friend in Kuala Lumpur and was looking for accommodation. Strangely, a young man who was very friendly approached me and asked if I was looking for accommodation. He was Choo Yeok Boon. I told him I was. He offered me temporary accommodation at his hostel room. Then we exchanged conversations and both of us realized that Alor Star was our hometown, though we never met there. He had visitors who came to see him often. Yeok Boon introduced them to me as his Baha’i friends. I had not heard of the Baha’i Faith before. He did not tell me much about the Faith. There were quite a number of books in his room. Out of curiosity, I borrowed and read “Bahaullah and the New Era”. I was convinced that Bahaullah’s Teachings offered answers to problems of the world. So I declared my belief in Bahaullah. But fate had it that I could not stay more than three months in the College. I had to leave as I could not support myself financially. I landed up at the Malayan Teachers College in Penang where I underwent teacher training. At this college I formed the Malayan Teachers College Bahai Society. Yeok Boon and I remained friends. Yeok Boon was on fire, and dedicated much time serving the Faith. Quite a number of his fellow students from various religious backgrounds heard of the Faith from Yeok Boon and declared. As there were enough Baha’i students, Yeok Boon was allowed to form the Technical College Baha’i Society. Yeok Boon was a very steadfast Baha’i, very kind and truthful. If I had not met him, I may not have become a Baha’i then.